Eat, Sleep, Tinker.Lotus Elise Seats in a Toyota MR2 Spyder - Eat, Sleep, Tinker. 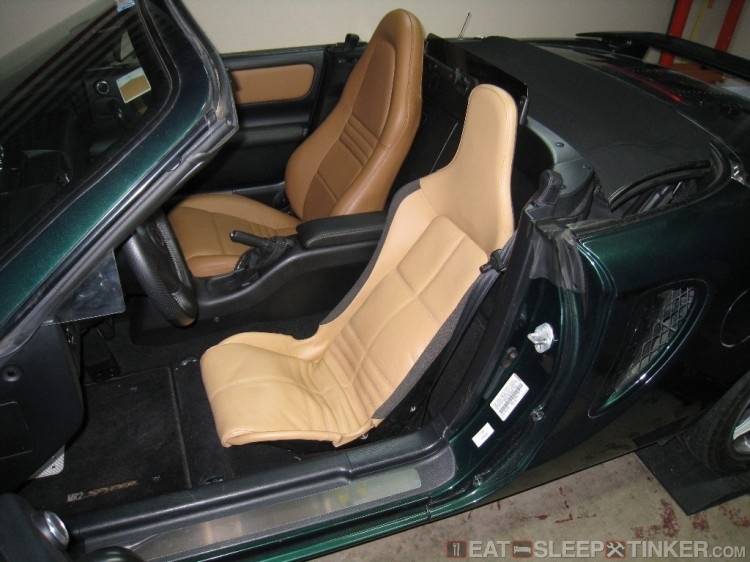 The stock Toyota MR2 seats are fairly comfy due to their heavy padding. 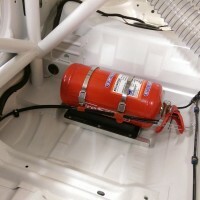 They are a decent seat for a cruiser, but lack the rigidity and support of a race or track seat. The biggest disadvantage is their height. This isn’t a major issue if you are 5’8″ or so, but being 6’2″ it seriously impacted my use of the vehicle. There was no way I would pass a broomstick test, even without a helmet on. The top of my head was pretty much even with the height of the windshield frame, so simply adding a roll bar would do nothing for me. 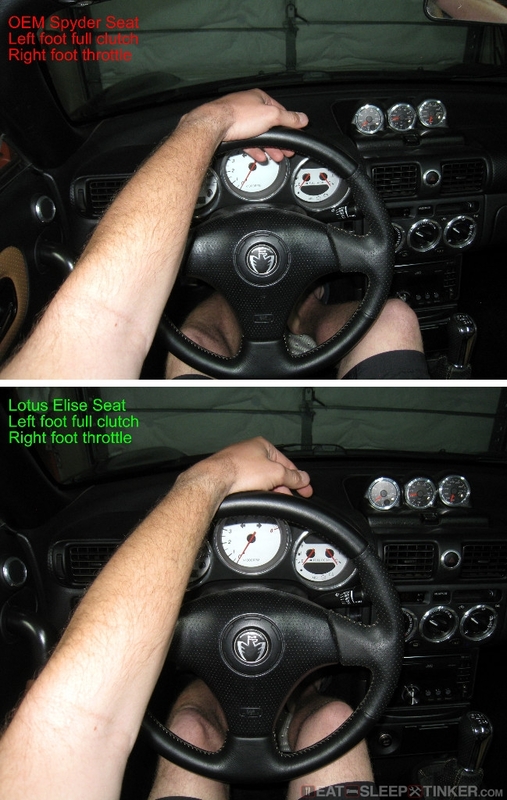 I require a lower seat… much lower. 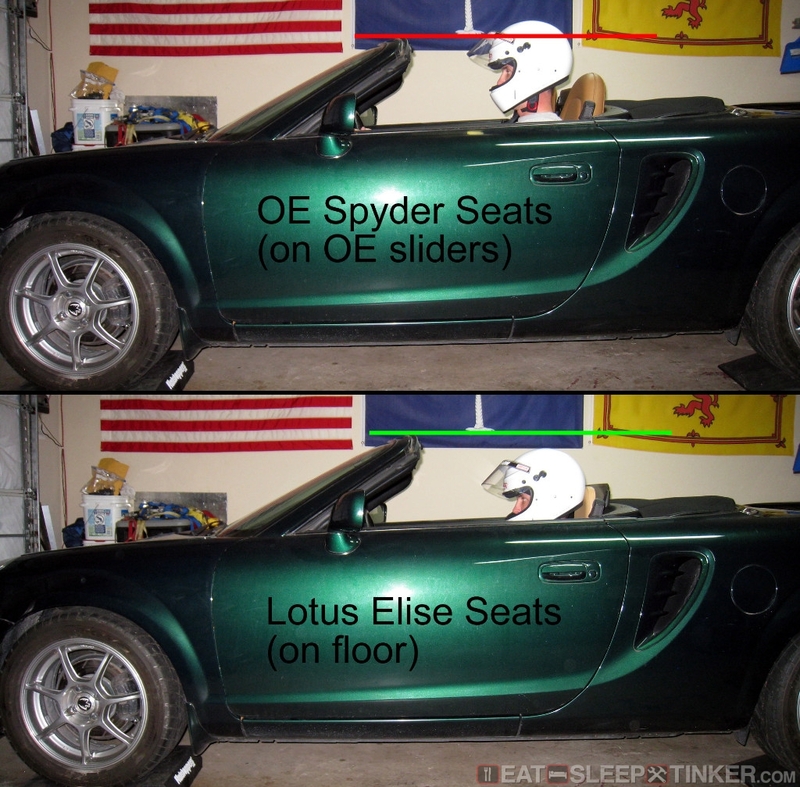 Most of the aftermarket race seats didn’t really provide much improvement, so I turned to the Lotus Elise seats. I was lucky enough to find a pair for free off of the Lotus Talk forums, picking them up in Katy, TX. They were a little rough, but all the marks cleaned right up with some WD-40 (yes, WD-40.) The padding needs a little work, since the previous owner had modded them in an effort to make them more comfortable. I’ll also need to cut slots for a 6-point harness, which is practically a necessity given the very small side bolsters. You can see the drastic difference between the height of the two seats. Of course the Lotus seats will be raised up slightly once I make some brackets for them. Besides the large gain in head room, I also gained substantially around my legs. I normally have to drive the Spyder with the wheel between my legs. Of course this is just a rough fitting, and I will have to fabricate some mounts for the seats and belts. I also have to devise a means of tilting the seat forward to access the rear compartment. The Lotus seats are fixed back, whereas the Spyder’s tilt forward and backward, allowing access to the cubby. The Spyder has barely any storage room as it is, and I can’t afford to lose any with a seat change. I think a simple hinge setup on the front of the seat mount and a quick release pin at the back will do the trick.